Pretty exciting day, we’ve been covered on Strait Times’ Digital Life – one of Singapore’s oldest and widely read daily newspapers. We’re really excited about the press coverage and appreciate all your support that has made this possible. 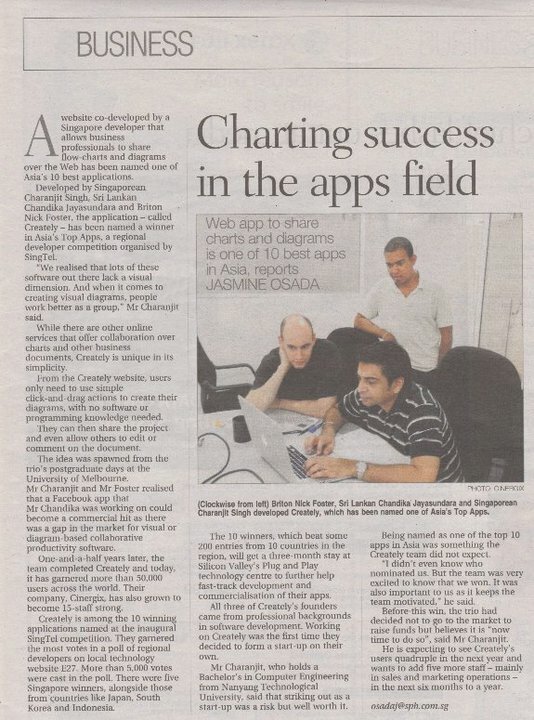 Here’s a copy of the story for those of you who want to read it, ‘Charting success in the Apps Field’.